The following interview, done in the winter of 2014/2015, is with Abir Taha. To begin please tell the readers about yourself and your general philosophy on life. Hello, thank you for hosting me on your website. I wish you an ever growing readership of enlightened, free spirits. We are in dire need of a revision not just of historical facts but also of philosophical, moral and religious tenets, a revaluation of values hitherto deemed the only "truth." I am Lebanese diplomat, previously based in Paris and Geneva, and an Ariosophical thinker and author of several philosophical/spiritual books published in the US, Paris and London: Verses of Light; Defining Terrorism: The End of Double Standards; The Epic of Arya - In Search of the Sacred Light; Nietzsche, Prophet of Nazism: the Cult of the Superman; Nietzsche's Coming God or the Redemption of the Divine. My outlook on life is holistic and spiritual-aristocratic. I believe in the unity of Being, in the unity of God and Nature, of God and Man. There is an endless spiritual hierarchy in the universe as well as on earth ("as above, so below"), and the meaning and purpose of life and thenceforth of man is perpetual creation and eternal elevation on that endless spiritual scale. Higher Man's vocation is the fulfillment of his divine nature, the breeding of the Overman. This is the essence of Nietzsche's philosophy and the essence of Aryanism. There are higher and lower souls on earth (what Nietzsche called the "Masters and the slaves"), and only the former participate in that great dance of cosmic creation, that creative evolution. The mission of these agents of evolution, whom Hegel called "world-historical agents," is to "divinize" the earth and express this divinity in word and in deed. Civilizations have arisen each time these spiritual Masters were in power (ancient Egypt, ancient Greece, Brahmanic India etc) or had considerable influence on the rulers. When the best ruled, when the best were the first, civilizations flourished. Indeed, monarchy and aristocracy have given the world masterpieces in art, architecture, music, literature and philosophy. Today, however, the mob rules, above and below ("mob above, mob below" wrote Nietzsche), and so the world is characterized by mediocrity, depravity and decadence. What is needed is therefore to ''redeem God in man,'' as I wrote in Arya, that is, a spiritual rebirth whereby the Overman replaces the pygmy man. Who were your inspirations and influences that guided you on your path? Friedrich Nietzsche was and remains my main inspiration. He is a paradigm unto his own. In my view, he is the greatest mind and the richest soul. I have dedicated my life to explaining and expounding his pagan-aristocratic philosophy and revealing his spiritual dimension, of Hindu and Dionysian inspiration. This giant of the spirit has influenced countless philosophers and spiritual masters as well as entire schools of thought, particularly existentialism, although Sartre's nihilistic existentialism was a distortion of Nietzsche's life-affirming existentialism. Many philosophers and thinkers were influenced by this great German philosopher, but unfortunately, few acknowledge this influence. I am not one of them. I proudly proclaim myself his disciple. We are Zarathustra's children. I also read the German romantics (Hölderlin, Goethe, ...), the French romantics (Victor Hugo, Lamartine...), Plato, Carl Gustav Jung (whose Aryanist psychology I embrace, in contrast to Freud's sickly psychology), Helena Petrovna Blavatsky's Theosophical Aryanist writings (The Secret Doctrine, Isis Unveiled...), Rudolf Steiner's Anthroposophy, the Bhagavad Gita and Upanishads, and Buddha's teachings, as well as Gibran's The Prophet, among other readings. And, of course, Hitler's Mein Kampf. When did you become aware of the truth concerning the purpose of life as well as who the dark forces in this world really were that are leading the Aryan people astray? I started writing The Epic of Arya: In Search of the Sacred Light in 2004 and completed it in 2007. That allegorical/spiritual novel was my great awakening regarding life's purpose and my life's vocation. Before it, I was of course aware of the decadence characterizing this Dark Age and of the pernicious influence of the enemies of culture and civilization, but it is only by writing my masterpiece that I became aware of my vocation as an Ariosophist who was keen on preserving Aryan Tradition's values and virtues, namely the neo-classical ideal, thus heralding the spiritual rebirth and biological mutation of the Race of Light, the race of human gods. No one can lead the Aryan people astray; the true Aryans or Aryas - "Noble warriors" - are either on top or they perish. Those who are racially and spiritually conscious can never be led astray. They might be a minority but they are the Awakened Ones in the era of "dreamless sleepers," as I called modern men in The Epic of Arya. I believe in natural selection whereby the bad seeds are weeded out and the best seeds survive to produce the superior breed. There are no Aryan "people." There are only Aryan individuals. Eagles do not flock. The future belongs to Nietzsche's "Lords of the Earth," those solitary Free Spirits from whom will spring the Übermensch. We are the seeds of the coming higher breed. You are the author of five books. Two of which were just recently released. Could you please tell the readers a little bit about each of them? - Verses of Light (London, 2014): this book is a collection of my philosophical, spiritual and inspirational aphorisms and sayings on life's higher meaning, great existential questions and ideals, namely Love, Beauty, Truth, Virtue, Nobility, Perfection... It is what my publisher called a "gem of wisdom" which will remind the readers of the great spiritual masters. A must-read for all seekers of truth and lovers of wisdom. - Defining Terrorism: The End of Double Standards (London, 2014). This is my first political book as a diplomat, whereas all the others are philosophical. This book is very important because in it I lay down the conditions and criteria for a universal, permanent, unbiased and comprehensive definition of terrorism in order to end the double standards in defining and combating terrorism. Who are the real terrorists? The freedom fighters who are resisting occupation or the occupying power that is practicing state terrorism against innocent civilians? Israel's state terrorism is exposed in this book as the highest form of terrorism. - Nietzsche's Coming God, or the Redemption of the Divine (the original French edition was published in Paris in 2005, the English edition was published in London in 2013). Whereas most Nietzsche scholars ignore the spiritual dimension of Nietzsche's philosophy, I contend that there lies the essence of the great German philosopher's work. I thus focus on Nietzsche's spirituality and Aryan paganism, which was deeply inspired by Greek philosophy and Brahmanism. Thus, in Nietzsche's Coming God, I demonstrate that, contrary to popular belief and the opinion of most Nietzsche scholars, Nietzsche was not an absolute atheist and nihilist but rather a deeply spiritual thinker who preached and augured a "new mode of divinity." Nietzsche saw that the death of the god of monotheism paved the way for a new, pantheistic and pagan vision of the divine, heralding What Hölderlin called the "god to come" beyond good and evil, a god who affirms and blesses life: Dionysus reborn, or the redemption of the divine. This book redeems Nietzsche and rehabilitates him as an Aryanist spiritual thinker, after decades of falsification by his pseudo scholars. - The Epic of Arya - In Search of the Sacred Light (USA, 2009). The following phrase summarizes this book, my masterpiece that will one day be among the classics: "I am searching for the Light... not the light made by man, but the Light that made man." The Epic of Arya is about man's eternal quest for the divine. It depicts man's perennial inner struggle between light and darkness, and teaches him to re-conquer his lost divinity by unveiling the "god within", the Inner Light. Overcoming the "death of God" declared by Nietzsche, The Epic of Arya speaks about the redemption of the divine and its rebirth in man. To redeem God in men: that is Arya's sacred mission. An inner journey of self-discovery, this inspirational, allegorical novel is the spiritual bible: it heals, awakens, transforms. Arya's epic conveys a universal message of unity, hope, and salvation in a world torn apart by the clash of civilisations and religions, offering a spiritual alternative to the two scourges plaguing mankind today: the scourge of religious fundamentalism - God idolatry - and the scourge of atheist materialism - God denial -, for only a spiritual awakening can save man from his own blind folly. Thus The Epic of Arya is a revival of the Aryan Religion. - Nietzsche, Prophet of Nazism: The Cult of the Superman (USA, 2005. The Portuguese edition was published in Sao Paulo, Brazil, and distributed in Latin America). In this book, I deeply analyze Nietzsche's powerful influence on National Socialism which appropriated most of his main concepts. Yet in doing so, I draw a clear distinction between the Secret Nazi Doctrine or what I call "Esoteric Nazism," which was aristocratic, supra-national and spiritual (or rather meta-genetic), a doctrine best embodied in the SS and confined to the Nazi elite, as opposed to the popular and populist nationalist exoteric doctrine best exemplified by the S.A. and addressed to the masses. I then establish a clear link between Esoteric Nazism and Nietzsche's philosophy, revealing the former's occult character as well as the latter's pagan Aryanism and spiritual anti-Semitism. Your most inspiring work, in my opinion, is "The Epic of Arya." This book is one of the most spiritually enlightening works I have read. I would put it on the same level as Nietzsche's "Thus Spoke Zarathustra" and the "Bhagavad Gita." What do you hope to achieve with this Aryan epic? The Epic of Arya is, as the title shows, the Aryan bible, the odyssey of the Aryan race, the race of gods, on earth. It is about the rise and fall of that glorious Race of Light and its coming rebirth and redemption through a higher consciousness and a spiritual mutation. This book is a future classic and has been compared by reviewers to Thus Spoke Zarathustra, as I have been called "Zarathustra's sister" or counterpart. Only a return to the spiritual roots of this race can save mankind from decadence and degeneracy. The redemption of the Aryan Race will only be done through recapturing the Aryan spirit and reviving the Aryan Religion, the Golden Chain from Aryana to Hyperborea. Only a spiritual rebirth will save the race. We should therefore revive our gods and our ancient Aryan religions: Odinism, Zoroastrianism, Orphism, Mithraism, Buddhism, Hinduism etc... but of course in a new, modern, spiritual form. In my opinion, Aryan revival could find its source and inspiration in Nietzsche and Jung's works. The Epic of Arya is a synthesis between these two great minds. Friedrich Nietzsche is your major inspiration in your worldview. There have been many lies told about him and the true meaning of his writings. What are your thoughts on those who are trying to corrupt his teachings? Nietzsche is probably the most controversial and misunderstood philosopher of all time. That is because his enemies in spirit have tried and are still trying to appropriate and distort his writings. Most of his so-called "scholars" have totally distorted and falsified his teachings which were pagan-aristocratic, of Hindu-Greek inspiration, turning him into an absolute atheist and nihilist. I have tried through my books on Nietzsche to rehabilitate that great philosopher, which is a very arduous - but not impossible - task after many decades of falsification by his pseudo-scholars. I have striven to highlight the spiritual-aristocratic dimension of his writings after this dimension was all but totally obscured by his and our enemies. 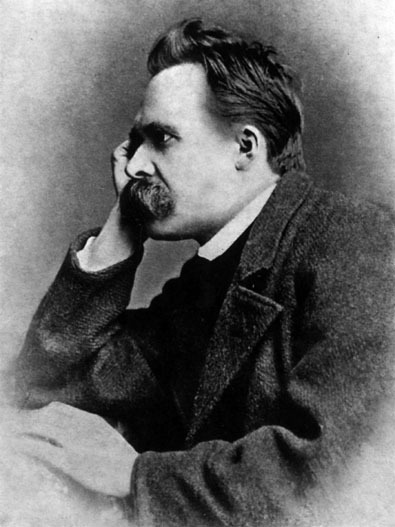 Nietzsche was a Brahmin, a disciple of Zarathustra and Dionysus. His famous declaration "God is dead!" was but the death of one god, the "God" of monotheism, whereas he believed in the Aryan gods, whom he strove to revive, heralding a "new mode of divinity" beyond good and evil. I have dedicated my life to rehabilitating this great German philosopher and I will dedicate the rest of my life to reveal the real Nietzsche. That is my calling, my vocation as his disciple and as Zarathustra's daughter. Your husband Doreid Audi is also a published author. Could you tell the readers a little about him and the topics of his written works? Dori totally shares my views and beliefs. He too is an Ariosophist and a Nietzschean thinker and writer. He has also published several books (his 6th one is also under publication) and has launched what he calls the "neo-epic" school or style of writing, striving to revive the gods of Antiquity and the cult of the God-man - which is a typically Aryan belief - in modern times. His spiritual-philosophical novels relate the story of the returning gods on earth and their ultimate sacrifice in trying to redeem humanity from the lies and life-denying philosophy of monotheistic religions which have driven men away from the real God, the immanent god in man and in nature. Dori teaches that the God-man, the god in the making, is the only god worth revering and emulating. He has also published a novel (The Sons of Life) which glorifies the Lebanese national resistance, the secular nationalist resistance which defeated and kicked the Israelis out of Lebanon. Another novel of his (Blossoms' Tears) deals with the Lebanese civil war, which reminds us of Tolstoy's War and Peace. Dori also published a spiritual and philosophical masterpiece (The Enlightened Visionary) which was considered a prelude to a New Religion: it preaches the Unitarian Religion, the Wisdom Religion, which is Aryan in its essence and purpose. Both Doreid and yourself recently visited New York City. What was your impression of what we and many others call the "true Jewish capital" of the world? New York City, like any other ultra-modern cosmopolitan city, is a soulless urban hell, where what I called in The Epic of Arya "the unbearable noise of greed" stifles man's soul and severs his link with Mother Nature. Unlike great cities like Paris, Vienna, Rome etc.., which are imbued with culture and history, NYC represents everything that is wrong with modernity, as opposed to civilization: racial miscegenation, moral decadence, deviance, depravity, savage capitalism, atomistic selfishness, spiritual alienation, "mob rule above and below" as Nietzsche wrote... In The Epic of Arya, when I described the hell of the city ("if there is a hell on this earth, it is in the city"), I had NYC in mind. Visiting it just confirmed my conviction about it. Modernity is hell, and even more so when that modernity is ruled by Zionism and its backward, dark spirit. What do you think of Vladimir Putin? There are many opinions on him. Some believe he is a tool of the Jews while others believe he is in reality a true White leader that is standing in opposition to the New World Order. He does many deeds that are in opposition to the Jews and their schemes. Then it seems like he is in league with them. Could he be using the old strategy of "Keep your friends close and your enemies closer?" What do you think? Vladimir Putin is a Russian nationalist. He has Russia's best interest at heart. He wants to revive Imperial Russia, the Russia of the Tsars, a nation which upholds family values, Christian virtues, and stands up against NATO and ZOG rule and expansion. He is fighting against the takeover of his nation by oligarchs and servants of ZOG. For all that I admire him. Besides Bashar al-Assad, Putin is the only world leader that is worthy of that name. Time has called him Primus inter pares, "First among equals." However, that said, Putin sometimes does things that I disapprove of or frown upon, but I am convinced that he acts for the sake of his nation and against international Zionism. Another very important, even main, reason why I support Putin is his unwavering support to the secular regime of Bashar al-Assad in his war against the plague of Islamic fundamentalism. Putin is also waging his own war against Islamic terror in the Caucasus, so his interest lies in supporting any nation that is really combating terrorism, and combating real terrorism. What are your thoughts on I.S.I.S.? It is obvious that they are a secret terrorist group being led and financed by Israel and the United States. I prefer to call these monsters and barbaric cavemen I.S.I.L. not I.S.I.S., as Isis is a beautiful Egyptian goddess! I.S.I.L. is a Zionist creation which will eventually turn against its masters because that is precisely what its ideology is all about: takfirism, in other words, calling everyone who doesn't share its barbaric, dark ideology an "apostate." But for now, I.S.I.L. is serving Zionist interests in battling and trying to overthrow the only remaining secular nationalist regime in the region. It is part of a worldwide conspiracy to depose all the remaining secular National-Socialist regimes (such as Bashar's) and replace them with theocratic, divided tribes with flags. What happened to Iraq or Libya are typical examples of the conspiracy for this region. By supporting Assad in his war on terror, we are supporting civilization against the enemies of life, mankind and culture. If Assad wins, I.S.I.L. will be defeated. If, heaven forbid, Assad loses, Islamic lunatics will take over the whole world, including the West which is actually witnessing an onslaught and an invasion of Third World immigrants. It is a typical Manichean battle between Light and darkness. By remaining firmly in control of power, Assad has stopped this conspiracy, and the tide has turned against Islamists in Egypt and in Tunisia. People have experienced Islamist rule and they now know it is a Satanic, backward rule. What I find utterly shameful and despicable is that the so-called secular, "civilized" West is arming, equipping, training and financing these same Jihadis who are now going back to the West and attacking their host communities... Those terrorists who perpetrated the massacre at Charlie Hebdo are the same Al Qaeda terrorists that Western governments have been arming and financing to wage war on Bashar Al Assad's secular, nationalist, anti-Zionist regime. That is called the boomerang effect. Assad had warned the West in 2013 that they would pay a "heavy price" for their support for Al Qaeda in Syria. Islamic fundamentalism is a plague. But that monster has been fed, financed, armed, trained, and equipped by the Zionists and the West. It is understandable that Israel would support these takfiri fanatics, for they share the same obscurantist, backward ideology of hate and exclusion. But shame on the so-called "secular" and "civilized" West which is supporting the epitome of darkness, backwardness, fanaticism and ignorance. The Third Reich leadership were major advocates of the Life Oriented Philosophy of Preserving the Race, Protecting Nature and Fighting Against Animal Cruelty. These values are Aryan Values. Your thoughts? Racial purity, environmentalism, animal rights... these always go together, and these are as you so rightfully said ''life-oriented'' Aryan values, which are a glorification and a veneration of Nature. Living according to the eternal, aristocratic laws of nature is healthy, noble, and life-affirming. Love of one's race, love of nature and compassion for all of its creatures are the true Aryan values which affirm, glorify and elevate life. A noble attempt was made to revive these Aryan values through the cult of beauty and perfection in body, spirit, art, architecture, culture. The Sons of the Light sought, through what might be named "the German Renaissance," to bring back the Greek ideal (C.G. Jung talked about the "tyranny of Greece over Germany") and build an ideal society of perfect beings, out of whom would spring Nietzsche's Overman or God-man. The enemies of Life and the powers of darkness and decadence chose the "last man" over the "Overman"... and now modernity is the cult of the ugly, the decadent, the deviant, perversion and depravity. The ultimate sign of decadence is that horrible bearded transvestite winning the Euro-vision last year... with the frantic applause of a West fallen in total darkness... the darkest depths of the Kali Yuga. Was Savitri Devi an inspiration to you? I see so much of the same passion in you that she was fighting for. 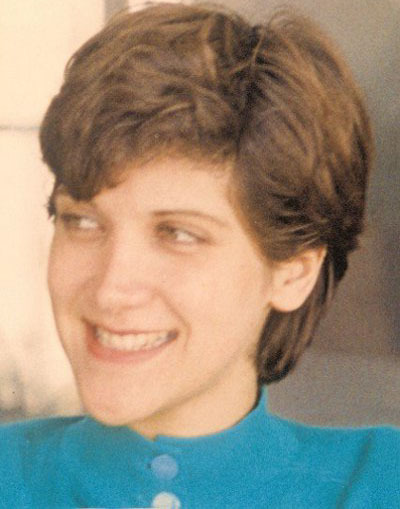 Actually, I only "discovered" this remarkable woman a few years ago, and only after many people told me how much I reminded them of her and urged me to read her. I thus read her great book "The Lightning and the Sun" and "Reflections of an Aryan" as well as her many other books on her struggle to revive the religion of nature in a world fallen into total decadence. That valiant warrior of the light was an ardent advocate of Indo-Europeanism, or Indo-Germanism, from Hyperborea to India. She tried to re-establish the link between the Eddas and the Vedas. I have taken up her flame and her fight. The flame should and shall never be extinguished. Thank you for your time Abir. Any final words to share with the readers? Thank you for hosting me. To your readers, I say: keep the faith. In the end, Truth shall prevail. The Kali Yuga, the Dark Age, is at an end. We will soon be witnessing a renaissance, a spiritual rebirth, a revival of true Aryanism which is first and foremost spiritual, above borders and beyond biology. It is from the darkest depths that the Golden Dawn is conceived, to usher in the Great Noontide of the Overman.